Hello! Welcome back to my blog, today I have a video for you! This is my make up favourites of 2015. The second part to this video (it was too long for one!) will be hair care and skin care 🙂 I hope you enjoy it and let me know what your favourite products from 2015 were! 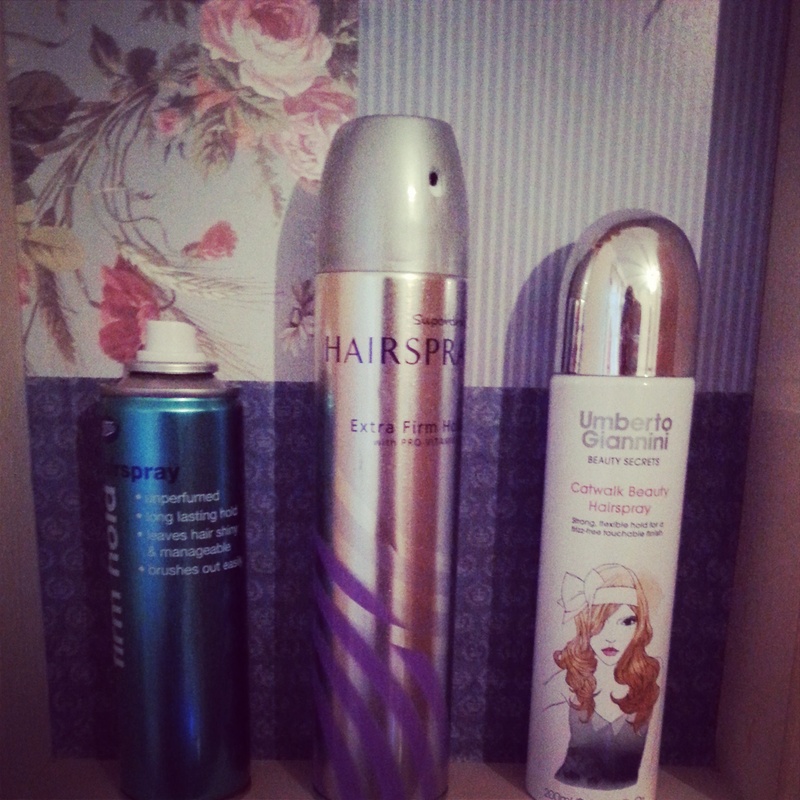 Yes, that is a lot of hairspray. I haven’t used them all this month though I promise! Boots – A very strong alcoholic scent, not pleasant when your in a small room, also slightly sticky and dried my hair out. 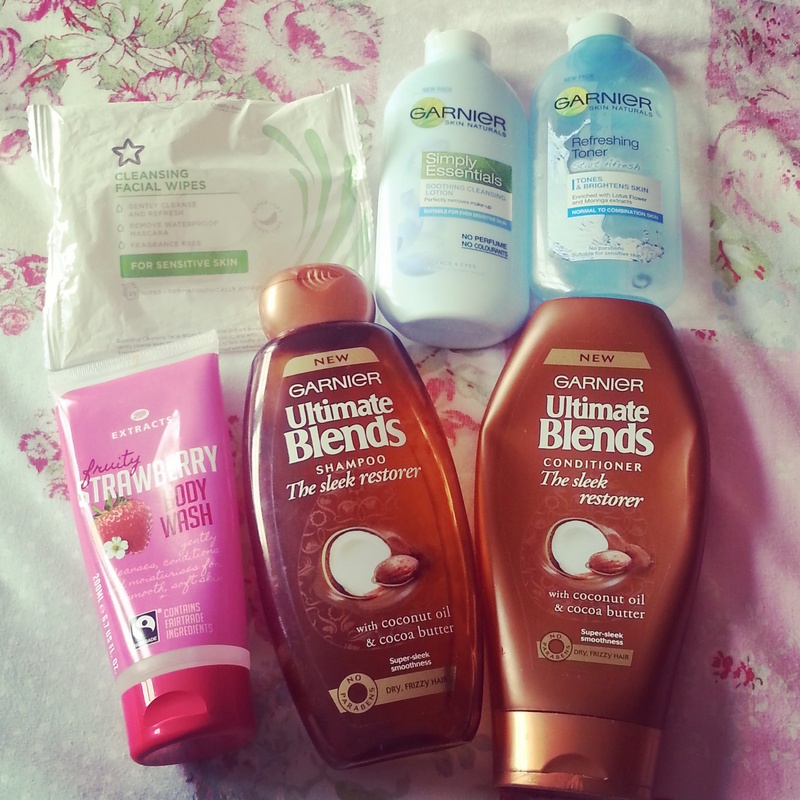 I mainly buy shampoos and conditioners when they’re on offer so I can get a set. (although I always run out of conditioner first, anyone else do this?). 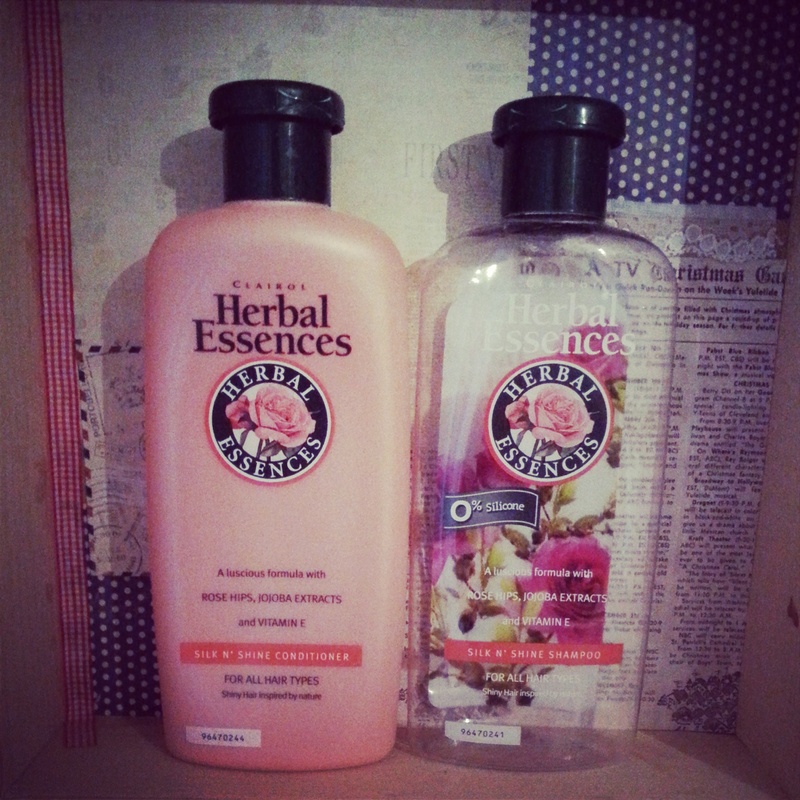 These were ok, standard Herbal Essences, smelt beautiful but nothing special. I only really buy these because they are on offer. My favourite hand-wash ever! This is actually intended for children (probably why I like it) and smells of sweeties! More specifically strawberry laces. 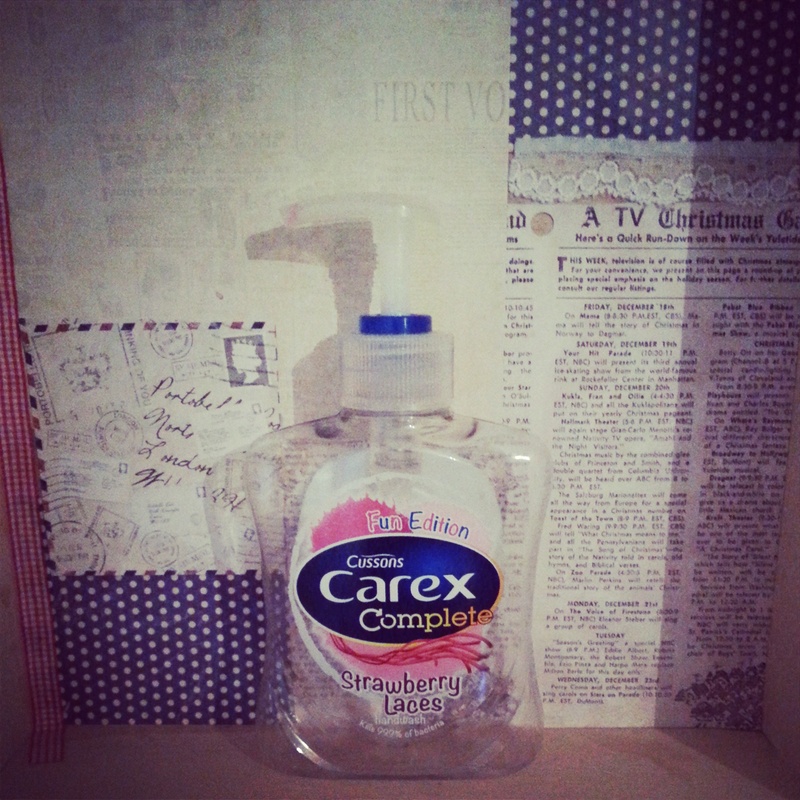 Its also quite gentle on the hands and doesn’t dry them out like a lot of hand-washes do. Definitely will be buying this again. Superdrug swinging 60’s body wash : I bought this because the name caught my eye, also I think it was on offer. I can’t decide whether I like the smell or not to be honest. I probably won’t buy again. 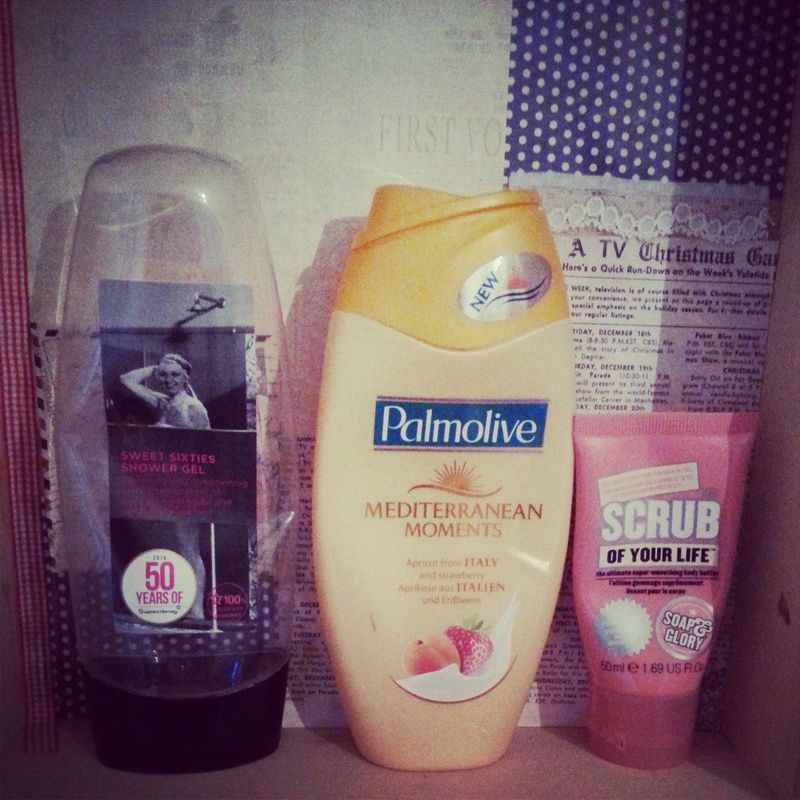 Palomolive Mediterranean Moments – Standard body-wash, nothing too spectacular, I don’t really like the smell either, it’s too mild for me. I prefer body washes with a strong fruity scent. Soap and Glory Scrub of your life – My favourite body scrub! I love most soap and glory products as the smell like sweeties! (sensing a pattern here) I like this one too because it’s not too harsh like a lot of scrubs are, it’s like micro-beads in a gel which is a lot gentler on the skin. I hate having odd shampoos! This was from a set but I finished the conditioner first 🙁 I found an argon oil conditioner which was perfect for using with all the odd shampoo dregs I had left over, so finally I can say goodbye to all those annoying half empty bottles! 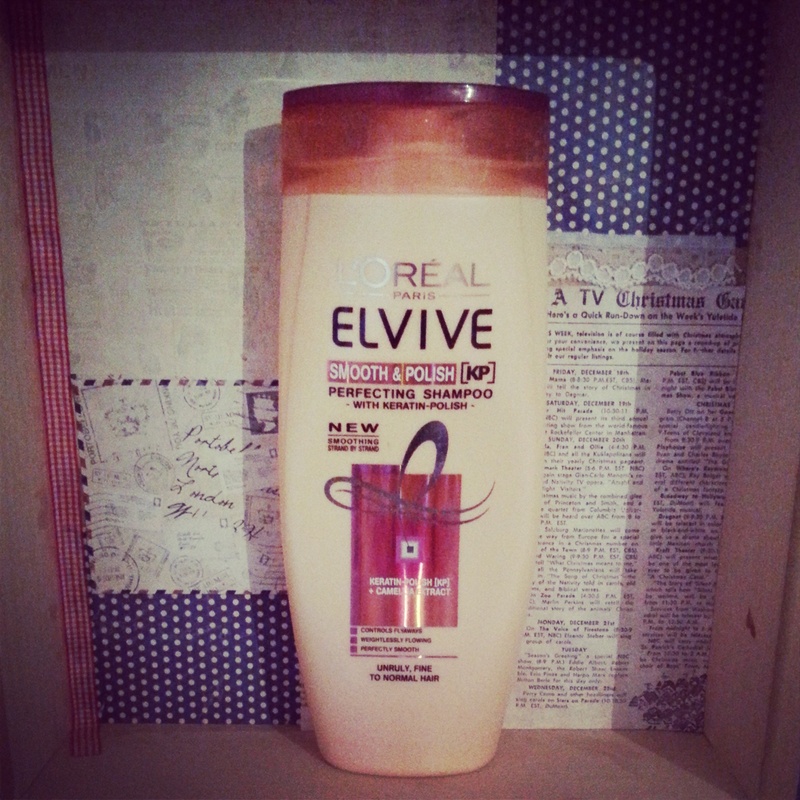 As a shampoo this is nothing special, and didn’t make much of a difference to my hair. I’ll probably only buy this again if it’s on offer. What have you guys used up this month? Any recommendations?